The British Gazette » Looking to the future. Above, a 65 amp hour 12 volt Exide car battery. Over 2,000 years ago today, in 30 BC, the Battle of Alexandria took place. The Roman General Mark Anthony achieved minor victory over Octavian. However, his army deserted which led to Octavian’s invasion of Egypt with the subsequent deaths (at their own hands) of Anthony and Cleopatra. British Gazette readers will of course point out that there is a far more recent and significant anniversary today – the start of the 3rd Battle of Ypres (Passchendaele) in 1917. It is however with the distant (in time) that we have chosen to start today’s article with. Because of the time. The Battle of Alexandria was 2,048 years ago. An awful lot of water in the Tiber has flown under the Ponte Milvio since then. Throughout that time human beings have been occupied with the events of their time. Serious and trivial. Today, those surfing onto Dr. North’s blog (http://eureferendum.com/blogview.aspx?blogno=86948) will again be exercising their minds about the serious issue of Brexit. 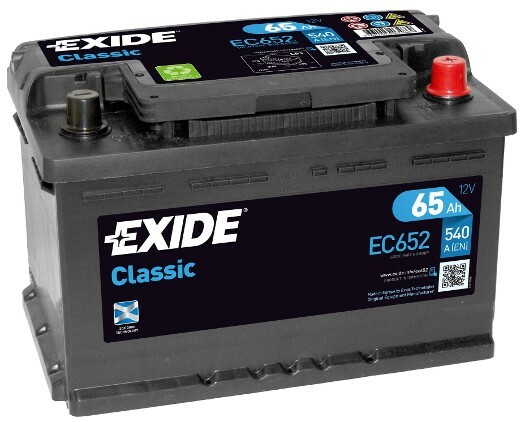 However, today’s article will address the issue of the links between the Exide car battery and the Battle of Alexandria. “Err……. Links? There aren’t any!” we hear you shout Dear Reader. There are. There are always links. Imagine, Dear Reader using Doctor Who’s time machine – the Tardis – to go back in time and leave the above battery outside the Library of Alexandria – and observe the reactions of the academics therein to it. They would not know what to make of it! But there are other things. For instance, batteries. The battery above has a lot to recommend it. It uses well proved technology. It can deliver electrical power including heavy amps when needed. Unfortunately it’s electrical capacity is limited relative to its size and weight. This particular battery is limited to supplying 1 amp at 12 volts of direct current electricity over 65 hours. In an attempt to improve these figures a lot of very clever people had put on their thinking caps and have come up with batteries using lithium. This has prompted a lot of not so clever people (Yes, Sir Ed Davy – we mean you!) into thinking that lithium batteries are the answer to the “problem” of CO2 and fossil fuels. They imagine a world where not only private motor cars, but buses, vans and lorries are powered by “clean” electricity stored in lithium batteries. Oh dear! This is even more delusional than the Unfortunate Gerard Batten believing that the UK can “Brexit” today and trade without difficulty on his imaginary “WTO terms” tomorrow! You see, there is simply not enough lithium on the entire planet to power all the vehicles that humanity requires! Notwithstanding the impossibility of lithium batteries providing the motive power for all the humans on the planet, this does not mean that the lead acid accumulator is the last practical solution to the compact packaging of electrical power. Now, as an educated, intelligent and observant reader, you will have noted the use of the words, “compact packaging of electrical power” and NOT “compact storage of electrical power”. This is because there are materials that exist that to us, serve no useful purpose. One of these materials is a metal called plutonium 240. The number “240” denoting this particular isotope of plutonium. Of course, the particular plutonium isotope human beings get very exercised about is isotope 239. This is because Pu239 is used to make nuclear bombs! To the very great chagrin of weapons engineers – not to mention megalomaniacs like Mr Kim – scientists are unable to produce pure Pu239. This is because another isotope Pu240 is formed alongside it. To produce “weapons grade” plutonium (97% Pu239 / 2.5% Pu240 + other transuranic elements) the production process is undertaken in short bursts. The “high burn-up” in civil nuclear reactors can produce Plutonium in the ratio of (65% Pu239 / 33% Pu240 + other transuranic elements). This material is classed as reactor waste and is either stored or reprocessed. Very sensibly, President Carter – a nuclear engineer – stopped the USA reprocessing facilities from being built and they have not so far been restarted. The best thing that can be done with “reactor grade” plutonium is to store it safely and securely. You see, in the fullness of time a useful use will be found for this stuff! Particularly Pu240. Separated from the highly fissionable Pu239, pure Pu240 is fertile, not fissionable. It is only fissionable insofar as it causes Pu239 to fission prematurely. This can be done in certain advanced reactor designs. However, if one was able to separate or otherwise transmute Pu to form pure Pu240 the material would not be fissionable. What Pu240 is is a high gamma radiation emitter. IT will kill humans and any other terrestrial life-form that comes into close proximity of it by dint of it’s harmful radiation. So what possible useful purpose could Pu240 undertake? Well, suppose we were able to construct a device and/or create a material that would upon absorbing the gamma radiation generate an electrical current? This could result in an DC electrical generator, the size and weight of the battery above with a productive capacity not of 12 volts, 65 amp hour but say, 120 volts, 65K amp hour! That is 1 amp at 120 volts over 7 years and 5 months! Or 90 days of continuous running of a 120 volt 30 amp DC motor. At the moment we cannot separate Pu240 from Pu239. If we could, such as Mr Kim would wish to make many more atomic bombs! And terrorists would wish to pack Pu240 around conventional explosives to contaminate wide areas and to cause the deaths of as many people as possible. In time, we believe that Pu240 will be able to be isolated from Pu239 and that Pu240 will be the source of compact electrical power in our lives. It won’t take place in my lifetime nor the lifetime of a certain Caroline Lucas. However, this future development will ensure one thing: In death, I shall be disturbed in my grave, for Ms Lucas will be spinning in hers as a consequence!